How many UFO projects do you have? I have mostly small orphan blocks from trial and error. I think I am going to make a pot holder and dish mat with that. These 2 table runners were meant for a bigger quilt but I get distracted, besides I don't have enough space in the house to keep big quilts. D Pink, blue and yellow looks very refreshing. Simple disappearing four patch which I did after watching video tutorial in MSQ youtube channel. 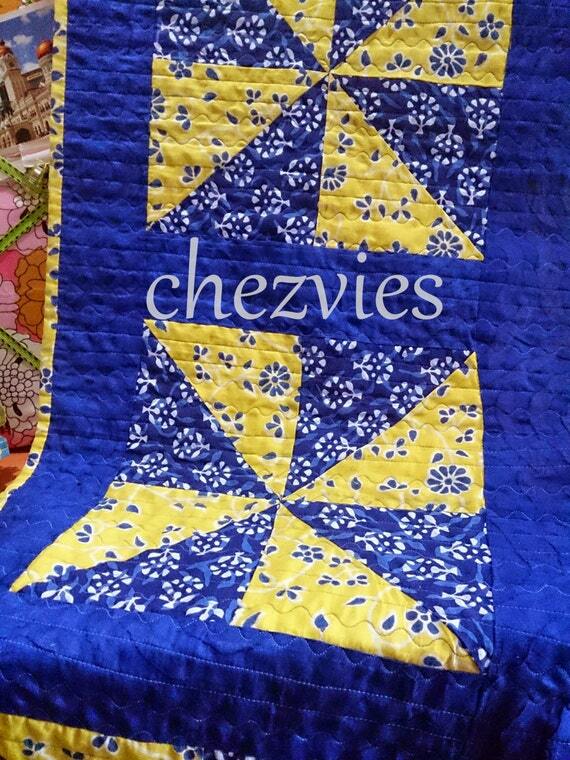 Hey, don't you love how Jenny makes quilting look so easy??!! 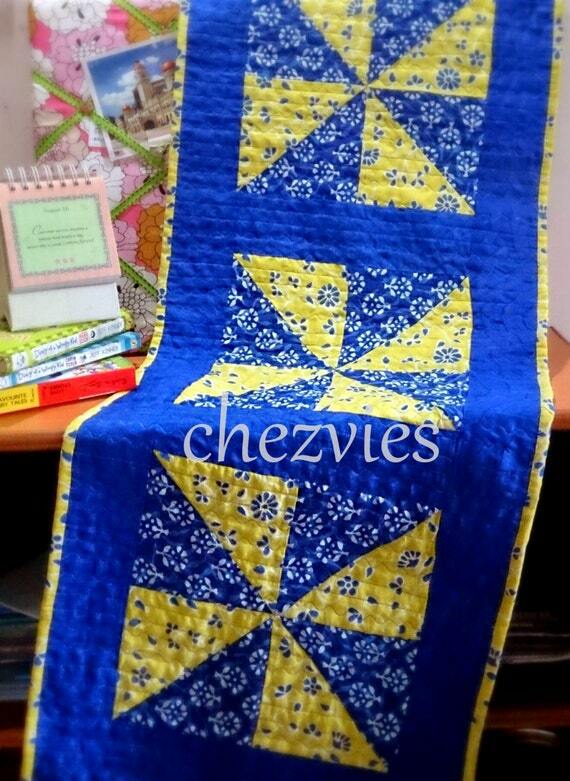 Second one is this yellow and blue pinwheel. I was obsessed with these two colors few months back ^v^ and cut a whole bunch. 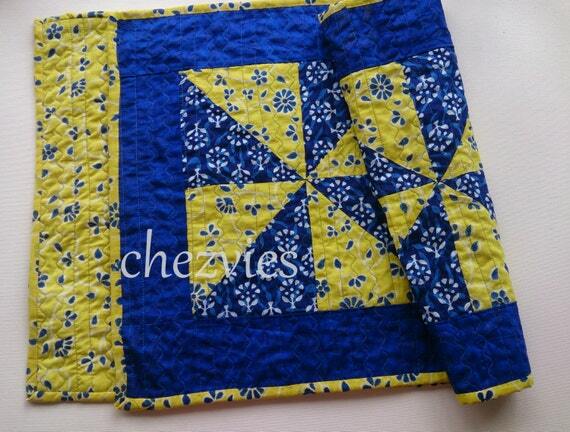 Since big quilt is off, now I can make more blue and yellow mini quilts. I quilted using decorative stitched. I was going to do serpentine stitch but forgot to change the setting and started with straight line. I was too lazy to unpick it (who doesn't?) and decided to use 2 straight lines and 2 serpentines. and I LOVE how it turned out. Yay!